Welcome to our happy school and welcome to our website. Children come to our school to be happy and successful. At Westdale Infants we strive to develop confident, self-assured, positive young people who love to learn, to contribute and to achieve. We offer pupils a dedicated team of staff who are committed to developing the knowledge, skills, attitudes and understanding which will enable children to enjoy learning, achieve success and to feel content and fulfilled. We ensure that our children learn about, and have confidence in, themselves as learners. Setting goals and holding high aspirations for their future. We recognise that all children have talents and abilities to celebrate, and a part of our role is to help them discover and develop these. We encourage a strong community spirit, where we show consideration and respect for each other; understand differences, and uphold kind, well-mannered behaviour. We believe that we can achieve the best for all children by working closely with families. There will be many opportunities to share in your child’s education. We are always able to talk to you about any aspects of your child’s learning and development. We always welcome parents and carers into our school and are very happy to hear your views. 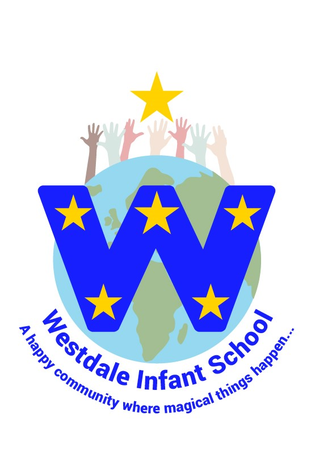 We hope that the information you need is contained on the website; however, if not, please call school on 01159 531606 or email the school office on office@westdale-inf.notts.sch.uk and we will do our best to help. Of course, if you would like to visit school please give us a call, we would be happy to accommodate you.